This week’s nomination by President Trump of D.C. District Court Justice Brett Kavanaugh to the United States Supreme Court remains the talk of the nation (including many mindless protests). Kavanaugh is a superb candidate with impressive credentials. He graduated from Yale Law School, has a beautiful family (he and his wife Ashley met in the Bush 2 White House and have two daughters), possesses a strong Catholic faith (he serves the needy through Catholic charities), a good sense of humor (in coaching his girls’ basketball teams he said, “they call me Coach K”), and vast and eloquent legal opinions (300 cases over 12 years). Kavanaugh “reveres” the US Constitution and will not be a judicial activist. Yet, some believe he might be a “moderate conservative” due to a few opinions he authored. Only time will tell. Personally, I believe he’s a good choice for America. Even if he does have some moderate tendencies, isn’t that a good thing? After all, isn’t God a moderate? I don’t mean to denigrate or trivially label the loving God of the universe with an often misunderstood political term. God is obviously infinitely bigger that our narrow view of moderation, or any other term we might use to describe his principles and ways. God is not extreme in his views in any way that compromises either justice or compassion. He is the epitome of self control and balance when it comes to personal behavior and influence. He is the essence of wisdom and knowledge. I’ve also noticed over my lifespan that human beings–and their man-made religions–tend to go to one extreme or the other in defining and regulating life on earth. Not the true God. He always maintains the ‘center” position of truth if we take the time (and have the honesty) to seek it. God is the true “moderate” on many important issues. He is the all-wise God (Jude 1:25). We need his great wisdom on many subjects in life. Here’s a small list of God’s many points of “moderate” wisdom. Secular politicians love liberal democracy, don’t like the restraints of republics, and preach egalitarianism in all aspects of life. On the other hand, most Islamic states become theocracies where religious leaders (like imams) rule by fiat. So it’s moral anarchy on the one side and brute force on the other. In governments that are formed on biblical faith, there is the balance of freedom for people, under God, with the wise restraints of law and constitutions. God is in the center. Islam again stands at one extreme by teaching that men are superior to women and that women have few rights and must be absolutely submissive to their husbands. In a sharia law marriage, women can be treated as property, and the Koran is uncertain about females being worthy of heaven. The secular/atheist worldview goes to the opposite pole. In a secular marriage, men and women are totally equal, democratic in all things, have no set roles or function, and are egalitarian to the “T.” This is a major reason why secular alliances often end in divorce or people don’t marry at all. With no rules, roles, etc. there’s very little structure to hold the union together. The biblical view of the Creator of marriage goes to neither extreme. On one hand, men and women are equal in worth–created in God’s image–(Galatians 3:28), but unequal in roles and responsibilities. Men have more authority (headship) but women have more influence (power). They are both to be submissive to each other (Ephesians 5:21), but the woman willingly takes the junior partner role in decision-making so there’s no problem with two “masters” (Ephesians 5:22-31). 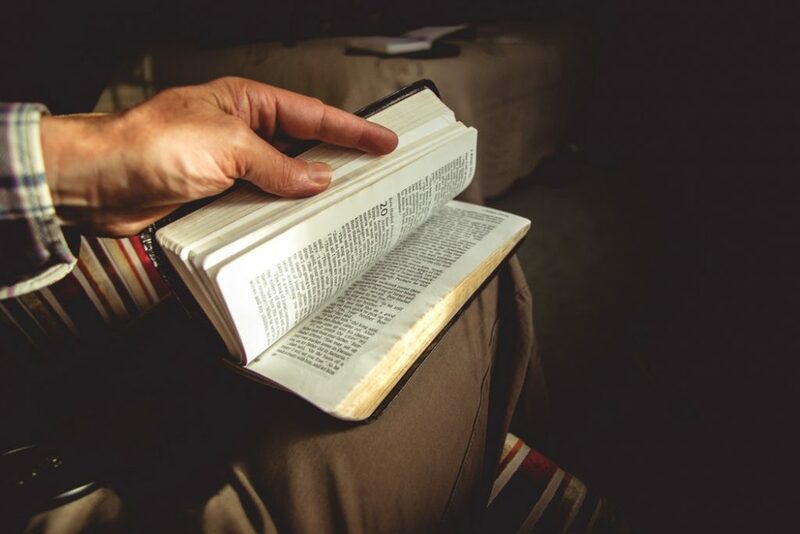 The word for culture comes from a root word–cultus–which means “what people worship.” There are many extreme cultural positions in today’s world. In some nations, the buzz is all about “multiculturalism” where the reigning sentiment is that no race of people are better than another and that we should all respect equally the diversity around us. In other societies, as we saw in the 20th century during the Third Reich, a people can come to believe they possess racial or social superiority and seek to dominate and oppress others. Both positions are extreme. Multiculturalism blurs everything into one without any distinctions or scale of accomplishments. Racial supremacy (like during the days of slavery or Nazism) put one race on top of others. I’ve been in many Christian gatherings where biblical truth balances the two poles. They exude great expressions of cultural diversity in dress, dance, music, sport etc.) with unity and love around the person of Jesus Christ. There is also the recognition that God’s principles and ways lived out in some nations produce greater freedom, success, creativity and blessing (such as American exceptionalism) than in other nations. Even in the area of theology, human beings tend to drift to opposite poles on getting right with our Creator and how we should express our faith in the way we live. On one side of the debate are the legalists or works oriented people. In Jesus’ day, they went by the name “Pharisees.” In our day you can fill in the blank. Legalists stress worksor behavior to get right God and stay on the narrow path. The legalistic Pharisees, or Essenes, and others, developed over 600 “rules” that people must live by to earn God’s favor. Jesus roundly denounced this abuse of God’s good laws. The opposite group, the Saducees, were the liberals of their day. Their mis-use of “grace” led to licentious living with no real boundaries. Jesus didn’t approve of them either. The death and resurrection of Christ, and the teachings of Paul in the New Testament, exhort us to flee BOTH the extremes of “brownie-points-works” and “anything-goes permissiveness.” We are saved by faith alone, all because of God’s grace. Our new-found trust should lead to a faith that works through love (Galatians 5:6). There’s a strain of religious people today–they used to be called Unitarians–who believe that all people go to heaven–regardless of how they live. This idea was popularized by phrases such as “All Dogs Go to Heaven” and is very comforting for all those who want to do their own thing and still have a great after-life. God’s moderating truth is that 1) Yes, there is a heaven, and yes, there is a hell, and 2) Only those reconciled to Him by faith in His atoning work with be eternal residents of that wonderful Paradise. You can’t work your way there OR pretend it doesn’t exist. You must believe in God’s provision for sin. So, don’t be fooled by the extreme poles of thinking on many subjects. Refuse to fly off to either the so-called right or dangerous left. Seek God’s moderating perspective on everything in life. That is the choice of wisdom.